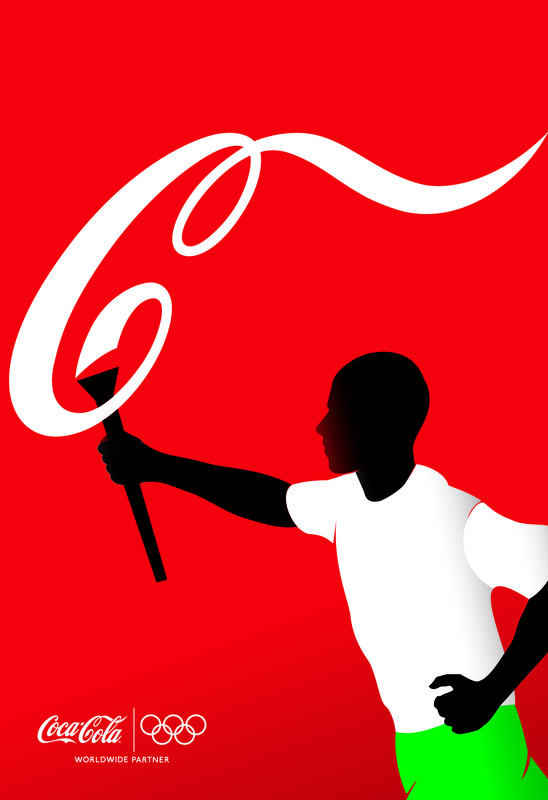 Coca-Cola as sponsor of the Olympic games 2012 in London promoted its passion about the Olympic spirit in a poster advertising campaign tying together the Coca Cola icon and colours. 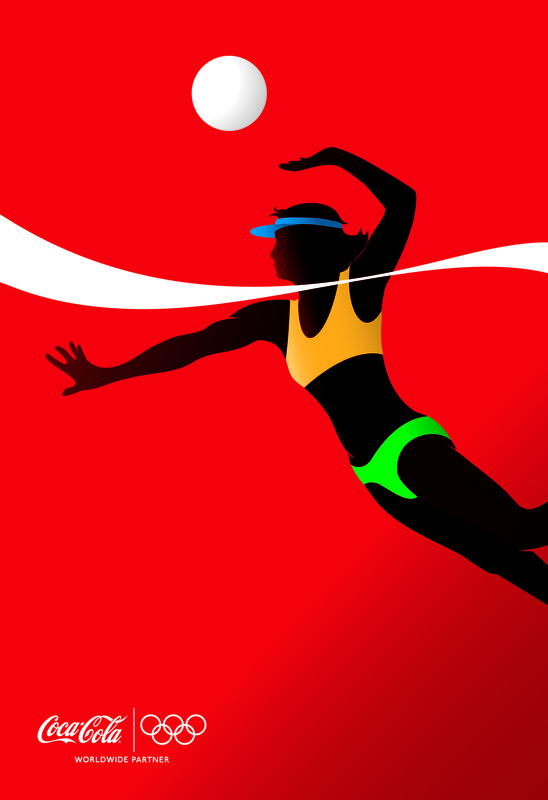 The logo is presented as the sporty challenge in “Swimmer”, “Runners”, “Gymnast”, “High Jumper”, “Artistic Gymnast”, “Beach Volleyball Player” and “Torch Bearer”. 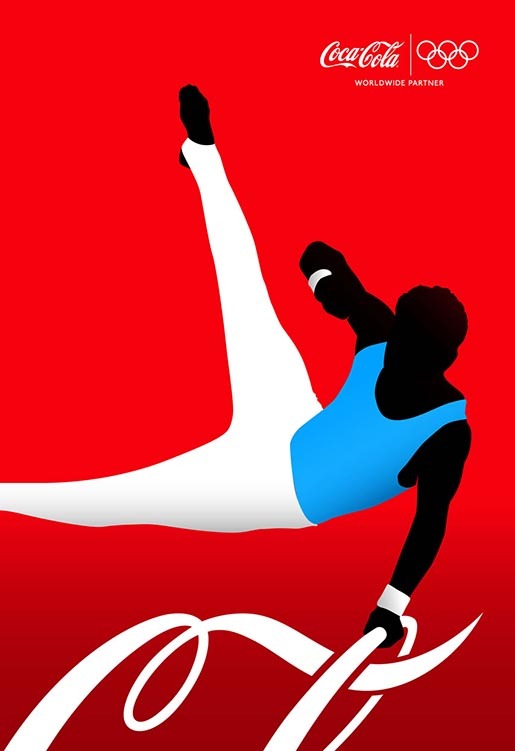 The campaign won Gold for Poster Advertising at the Art Directors Club Europe 2013 Awards. 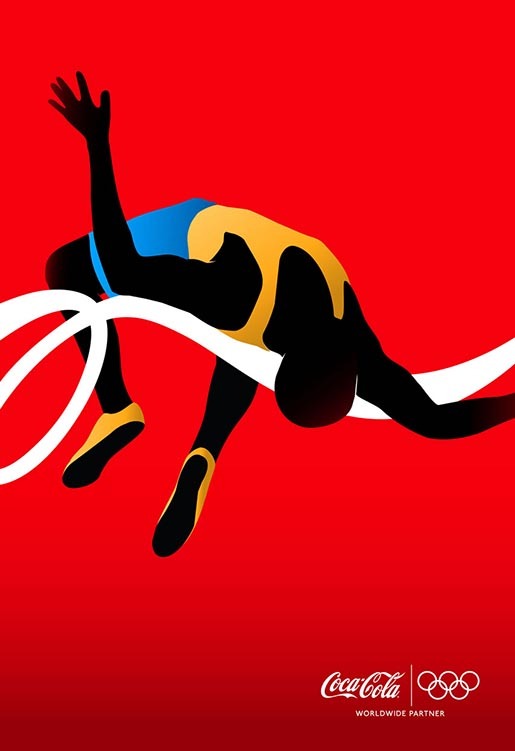 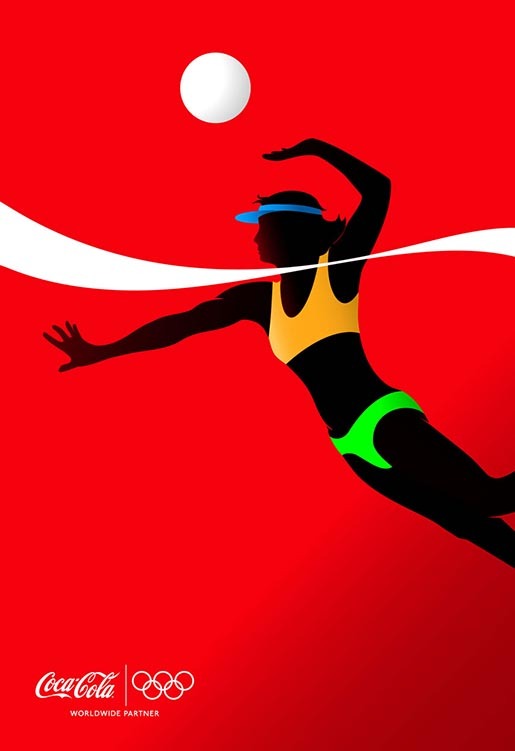 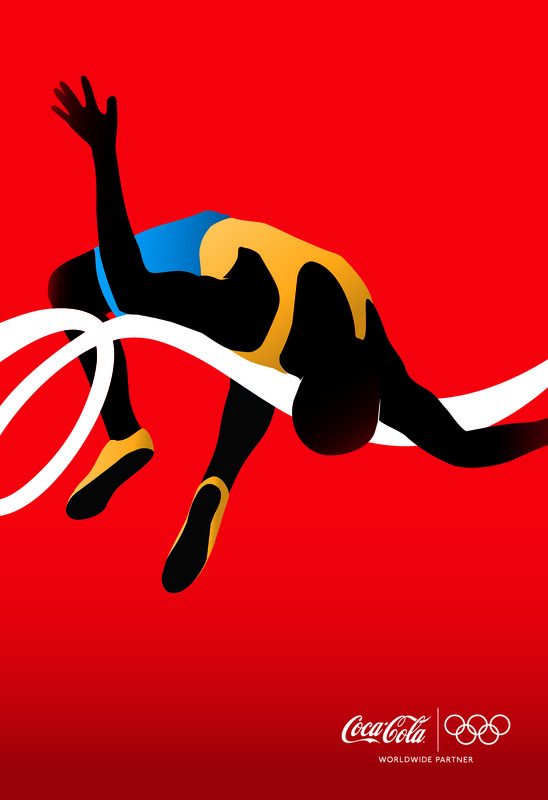 The Athletes campaign was developed at McCann Germany/ McCann Geneva by creative director/copywriter Bill Biancoli, art directors Birol Bayraktar, Michael Jacob, Florian Fischkal, illustrator Yue-Shin Lin, and account manager Christiane Hahn.